The magnetic tweezer is a very versatile tool. Nevertheless all measurements with this device are limited to unidirectional force application as magnetic particles can only be pulled in the direction of increasing fields, but not pushed away. However, for a lot of cell mechanical experiments a multidirectional force application is needed. Therefore, a rotational device was built, which enables to rotate cells to any angle relative to the magnetic tweezer device and thus enables multidirectional force application. Figure 1| Rotation stage. Photographic image of the rotation stage in combination with the high force magnetic tweezer (1). 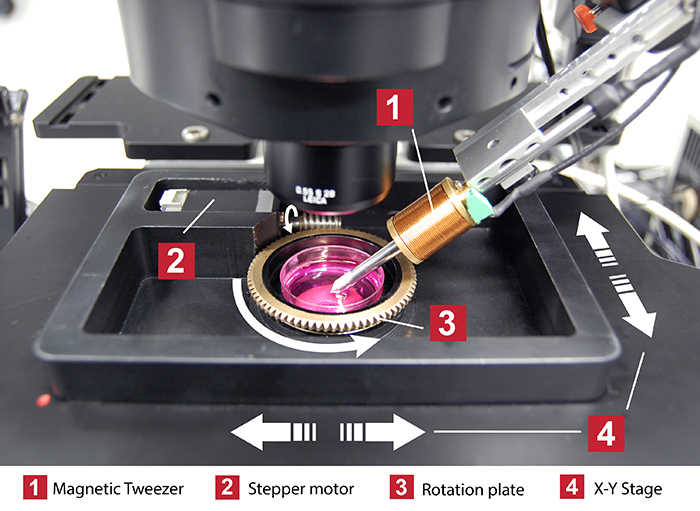 The device consists of the step motor (2) and the rotation plate (3) mounted on the x-y stage (4) of the magnetic tweezer setup. 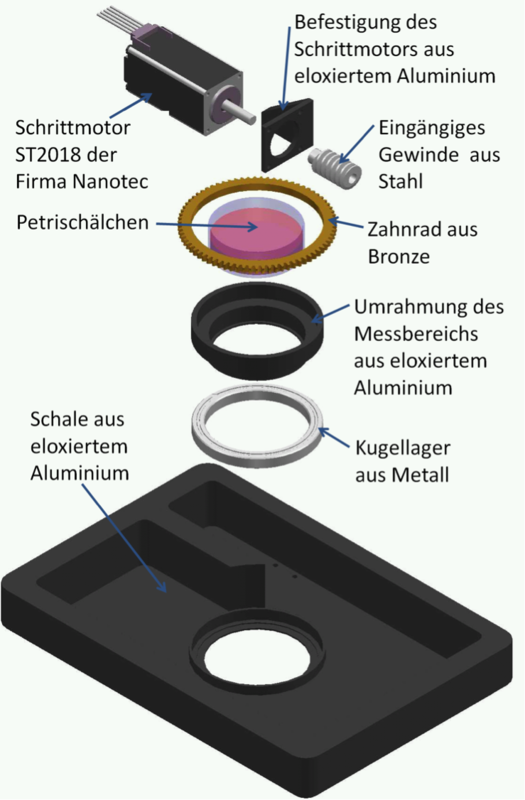 A stepper motor (ST208 Nanotec) turns a steel thread which is connected to the bronze cog wheel which turns the framing with the culture dish. The framing lies on a ball bearing mounted in the housing. The motor is connected to the computer allowing to give commands for arbitrary rotations.